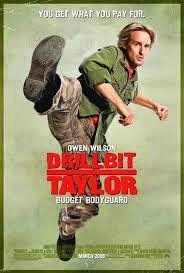 Ever see the 2008 film "Drillbit Taylor"? Yeah, I missed it, too. 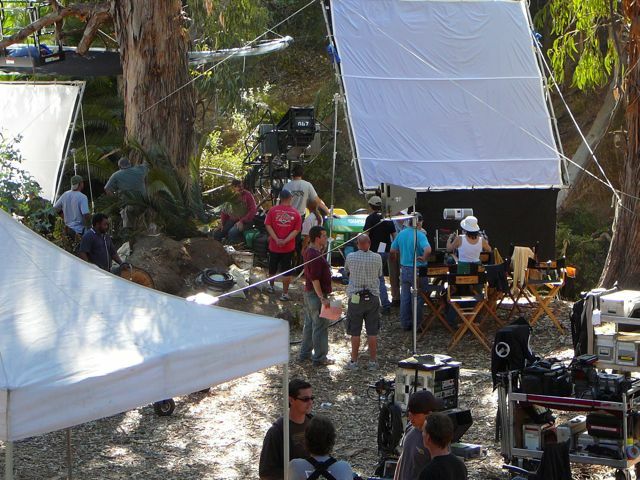 For our family, experience L.A. often meant experiencing a movie shoot. 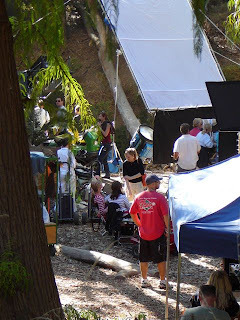 My kids, and and 5 and 8 at the time, and I were in Temescal Canyon Park in nearby Pacific Palisades and stumbled across a film called "Drillbit Taylor" being filmed. If my kids look bored - it's because they were. For them, walking around a set - with nothing going on - was about as exciting as watching paint dry. 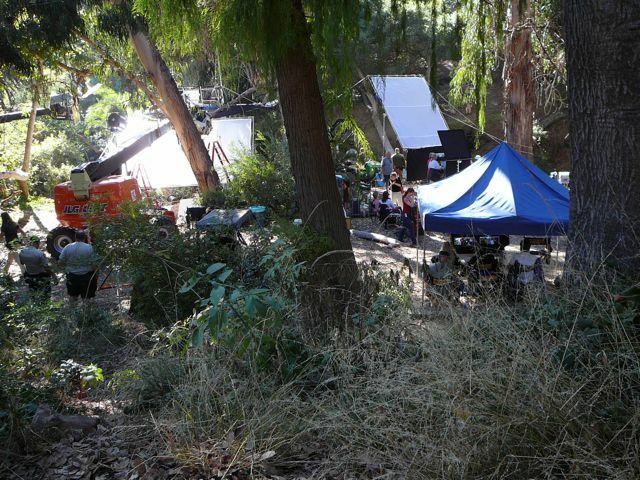 It was interesting for me as an adult to see this park tranformed into an on-location set. The director was takling with the cameraman for a few minutes - so everyone else was on hold. There are a lot - I mean a lot - of people on the payroll. How much does something like this cost per hour? 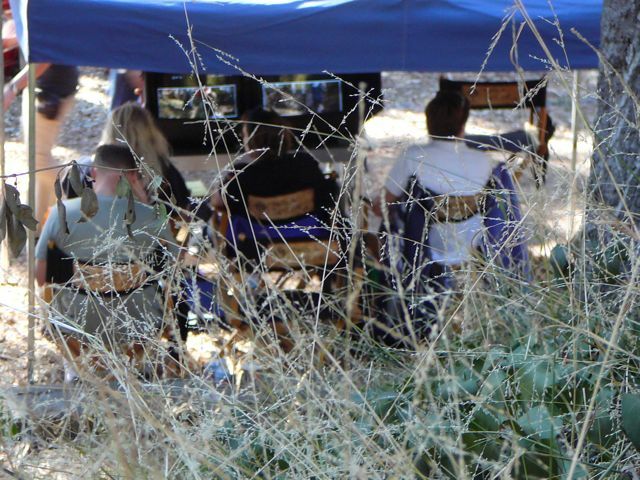 How much does a 10 minute break cost so that the director can have a little chat with the cameraman? Of course, that didn't keep me from taking a few photos. Apparently, before 9/11, the Los Angeles Film Permit Office had daily on-line list of every movie, TV show, or commercial being filmed in L.A. If you were visiting Los Angeles, even for just a few days, could drive over and see a real movie being filmed. People visit L.A. from all over the world, hoping to see a bit of the real Hollywood. 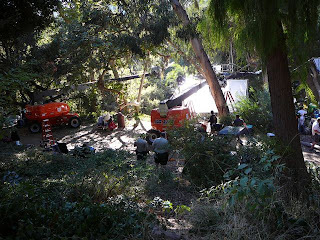 How cool is it to say "I saw a movie being filmed"? Even if it's something you never get around to actually watching? 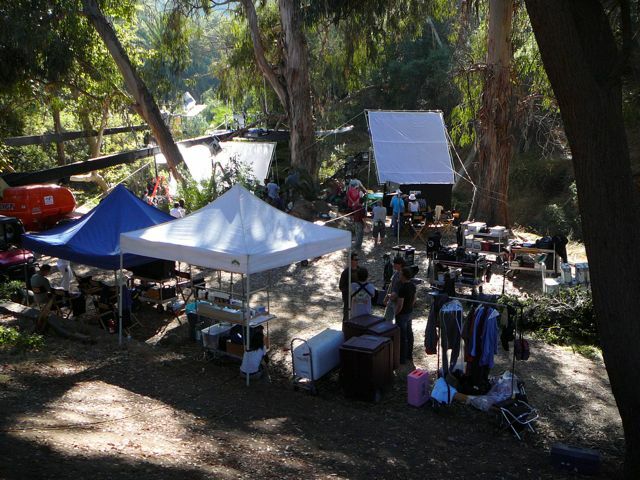 I guess you could make the arguement that if you happen to "by chance" come across an on-location film crew, it makes it even more special. If you happen to see a large yellow sign with a strange title, most likely it's pointing to a movie shoot. Here's a few examples I pulled off the internet. No guarantees, but a good place to start. Have fun.